73 horses were used for teaching purposes in New Zealand in 2016, according to MPI. More horses were used in research in New Zealand in 2016 than in previous years, a report from the country’s Ministry for Primary Industries (MPI) indicates. The 924 horses used in research, testing and teaching in New Zealand in 2016 represented a dramatic increase for the species. In the previous three years (2015-2013), there were 283, 237, and 272 horses used respectively, contrasting with 2012 (758) and 2011 (659). Overall, the recently released statistics showed a total of 254,453 animals were used in research, testing and teaching in 2016, up 13% on the record low achieved in 2015. Cattle were the most commonly reported species making up 41% of the total number, followed by sheep at 19%, mice at 13% and fish at 8%. Of the animals categorised in the ‘high’ and ‘very high’ impact categories, most were rodents and rabbits (6897 out of 8596). These animals were classified in these impact grades largely due to use in vaccine testing, veterinary research, and production and evaluation of biological reagents and other medical research detailed in the report. MPI’s Report on statistics on the use of animals in research, testing, and teaching for 2016 reflect the number of animals used in studies and in testing and teaching completed during the year and reported to the MPI. MPI manager of animal welfare Kate Littin said the 2016 increase was mainly due to more livestock being used for veterinary research, testing and teaching. “It was good to see there has been a decrease in the number of animals that died or were euthanised, and that the number of animals that returned to owners or were released to the wild was up compared to previous years. The number of animals that were rehomed was similar to last year,” Littin said. Nine (1%) of the 924 horses used in 2016 died or were euthanised, the report said. Some 500 horses were used in the production of biological agents. Commercial organisations carried out 99.8 percent of this work, with the remaining 0.2 percent carried out by universities. 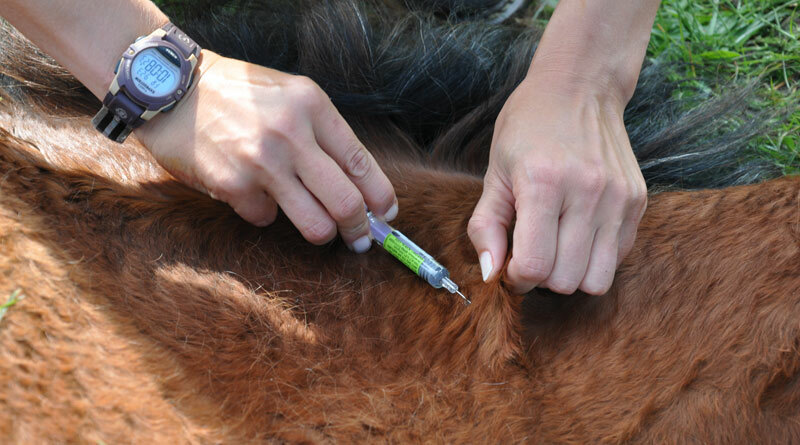 The 641 horses reported as “manipulated” was an increase of 226.5% from the previous year. Horses were also used for veterinary research (349), teaching (73), testing purposes (1) and other purposes (1), the report said. Only 53 were classified as having a “moderate impact”, while 805 sustained “little impact”, and the remaining 66 sustained “no impact”, according to the report. Horses were used by 17 organisations and supplied from farms (67.5 percent), public sources (26.1 percent) and commercial organisations (6.2 percent), with a further two coming from breeding units. The numbers included 15 horses classified as “diseased”.